Ri-Yaz Group is a leading global company with diversified businesses to enhance sustainable business growth, as well both economic and social vitality. 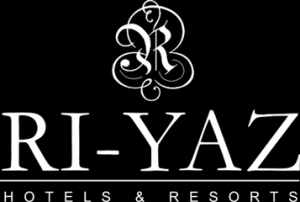 Established in 2008 with managing hotels, Ri-Yaz now owns several properties and has evolved into other businesses. We believe our strength lies in our ability to embrace differences and create opportunities for all employees, guests, owners and franchisees, and suppliers. Driven by a longstanding philosophy of providing rejuvenating and relaxing lifestyle-oriented hospitality, Ri-Yaz manages a number of unique, signature resorts in Malaysia and internationally. 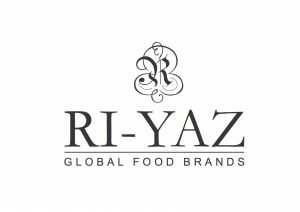 At Ri-Yaz Global Food Brands we aim to offer outstanding food & beverage operations & solutions, trading under both home grown and internationally renowned brands. Our current portfolio includes the new, dynamic, South African heat of Galito’s Flame Grilled Chicken standalone outlets and Mya Kitchens and Cocktails situated throughout our hotels. With an aggressive opening plan for both Malaysia and S.E. Asia, Ri-Yaz Global Food Brands will be a key player in the food & beverage market for the foreseeable future. At Ri-Yaz College, we cultivate aspiring students to greater heights in the hospitality and management. Our state of the art facilities nurtures students to be industry ready for the job market by the time they graduate. With Ri-Yaz managing several hotels and resorts, our college is the perfect place for aspiring students in the relevant fields. Ri-Yaz Development is a young , visionary and creative architectural and design team. At Ri-Yaz Retail & Development we cover a multitude of disciplines, from thought provoking architecture, developing hotel and restaurant brands, furniture and lighting designs, products, experiences and full technical services. At Ri-Yaz Development, we design from the concept through to completion. Building Environments and Creating Experiences.